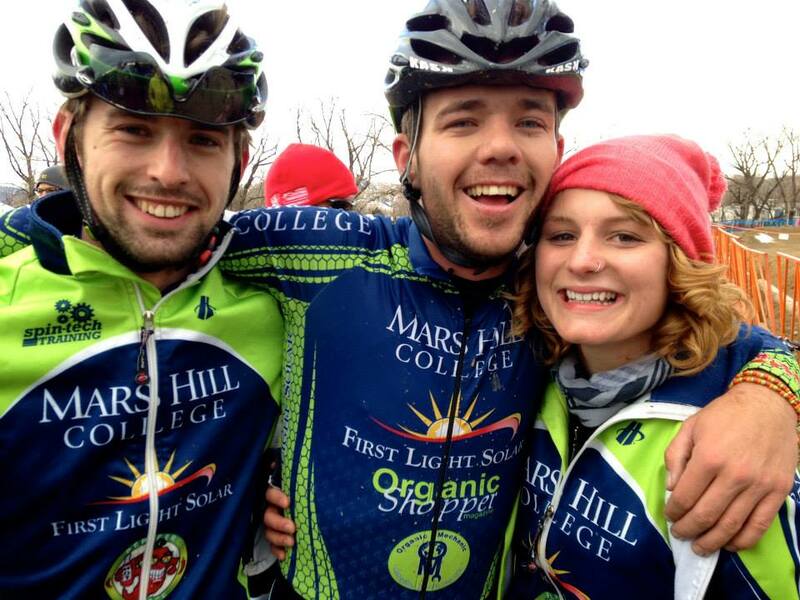 For the fifth year in a row, the Mars Hill team traveled to cyclocross nationals, this time to Boulder, Colorado. The race organizers did a fantastic job and put on a first-rate event, and we had fun from start to finish. We approach CX nats with high hopes and confidence, since we’ve either been first or second overall for the last three years, collecting several individual podiums and a national championship as well, and this year we had the talent and motivation to replicate these top performances. The team rode their hearts out and put in some impressive performances despite unfortunate mechanicals and illnesses that contributed to us missing the podium for the first time in years. Still, we met our goals of doing our very best and creating memorable lifetime experiences, and in the end that counts for far more than podium appearances. 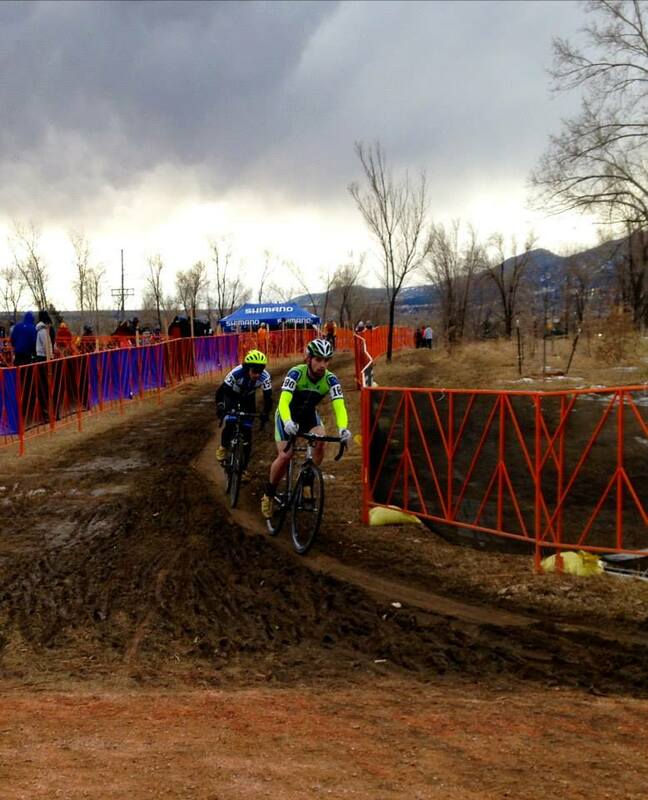 The first race for collegiates was the team relay, a new event at CX nats. We had intended to compete, but with a smaller team this year and several riders battling nagging injuries and illness, we decided to skip it so riders could put everything into the traditional men’s and women’s championship events. The Industry Nine crew from Asheville worked the pits for us, loaned us pit bikes and equipment, and set us up on super fast wheels. Big thanks to Drew and Rachel Hager, Dave Thomas, and Meghan Korol for all the support! We also had strong support from Nick and Alex Christofalos, who graciously loaned us equipment, helped with transportation, and and cheered us on. Thanks for everything! On Saturday, Sarah Felpel, our lone women’s rider, competed in her first race in almost two months since she’d been diagnosed with mono. 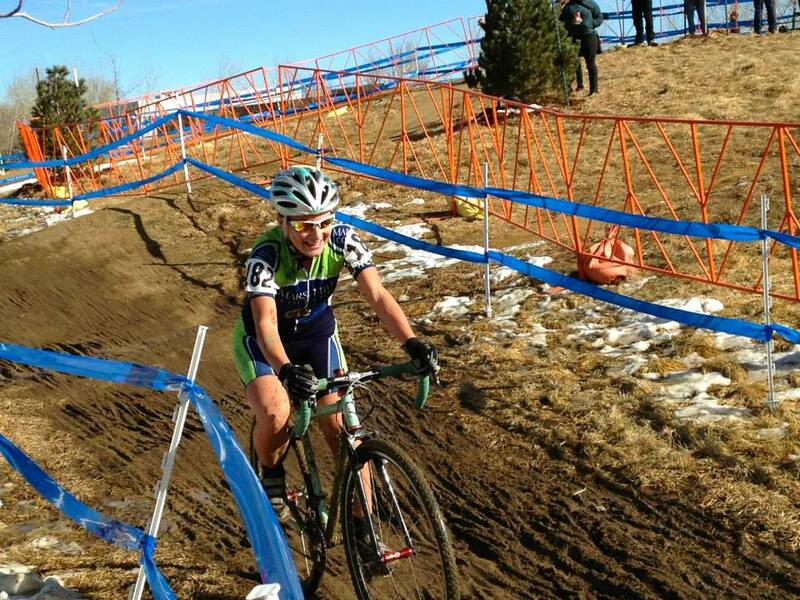 Sarah rode a clean and strong race to finish 16th, and we were all proud of her effort. 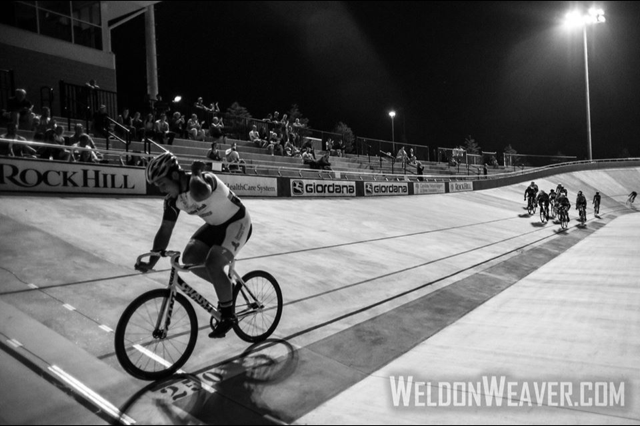 In the men’s race on Sunday, Tim Jenkinson and Mikey Keith were favorites based on Tim’s silver medals at CX nats the last two years and both of their strong (2nd and 3rd place) finishes in the short track event at mountain bike nats in October. Hunter Resek, although relatively new to knobby tires, was primed for a top twenty result based on stronger performances throughout mountain bike and cyclocross seasons, but he was suffering from an upper respiratory condition that made breathing as through a straw. When the race started, all three got a clean start. Tim was our top placed rider on lap one, but as he negotiated the first of two steep off camber turns, his front tire rolled off the rim and sent him tumbling to the ground. By the time he ran to the pits, he was already a few minutes down on the leaders and in last place by quite a bit. With a bike change, he was off again and spent the rest of the race battling back up through the field, passing well over twenty riders to finally end up in 21st place. His lap times were on par with the leaders, so he had the fitness to compete for the win. Kudos to Tim for never giving up. Mikey suffered a similar fate when he also rolled a tire on a steep off-camber section. 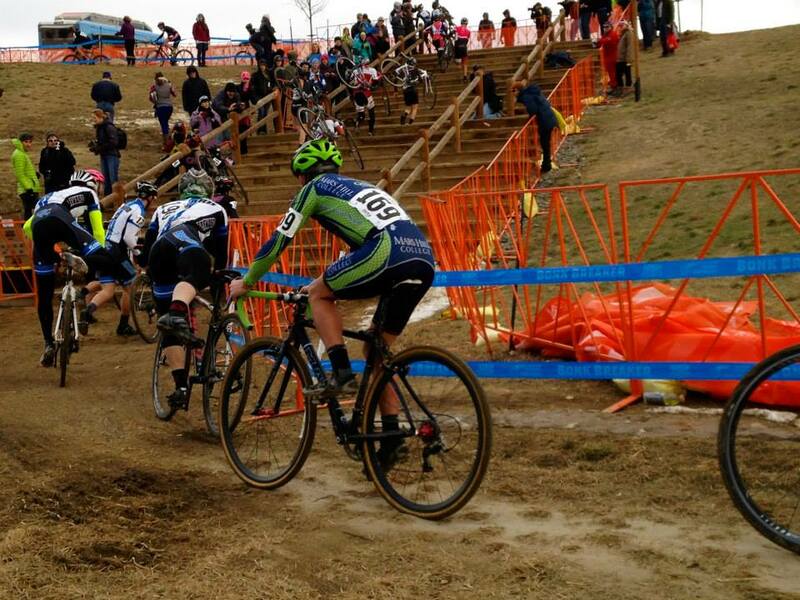 With the course conditions dry and hard, our tires did a great job of hooking up, they just weren’t staying on the rim. Maybe tire pressure was a little low, or perhaps just bad luck. At any rate, Mikey was able to ride the tire in and get a pit bike, and then went on a tear racing from thirty-something place to a solid 12th by the finish. Hunter did his best despite breathing problems and finished a respectable 34th. On paper these weren’t our best performances but everyone can be proud to have raced their hearts out and given their best efforts, and all while having a blast. Next up is BMX and road season, and we’re already amped for both to begin. A shout out to all of our supporters and sponsors who make our racing possible. Appreciate you! We are excited to announce the addition of three new riders to the team for spring. Each focus on different disciplines, adding depth and talent across the team. Let’s welcome them to the team in alphabetical order: John Croom, Nick Givargis, and Tyler Perkins. Welcome to the team, John! 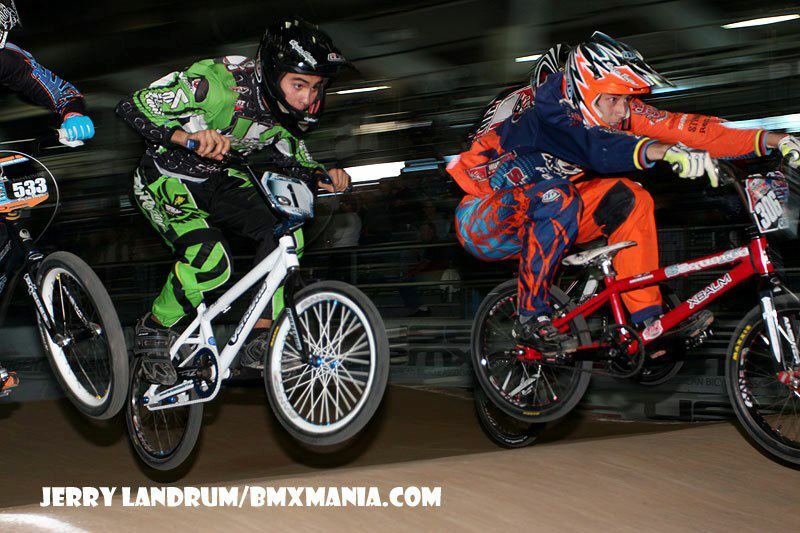 Nick Givargis started racing at the age of nine in Simi Valley, California, at Sycamore BMX. He excelled in the sport fairly quickly and became an expert at age 10. Finding success in the National Bicycle League at age 12, making the main event at NBL Grands as a 12 expert and placing 14th nationally, by age 14 he was a competitor in the ABA national circuit in his class. In 2010 and 2011, he was in the top 10 in his class nationally in Cruiser, and won numerous national races. 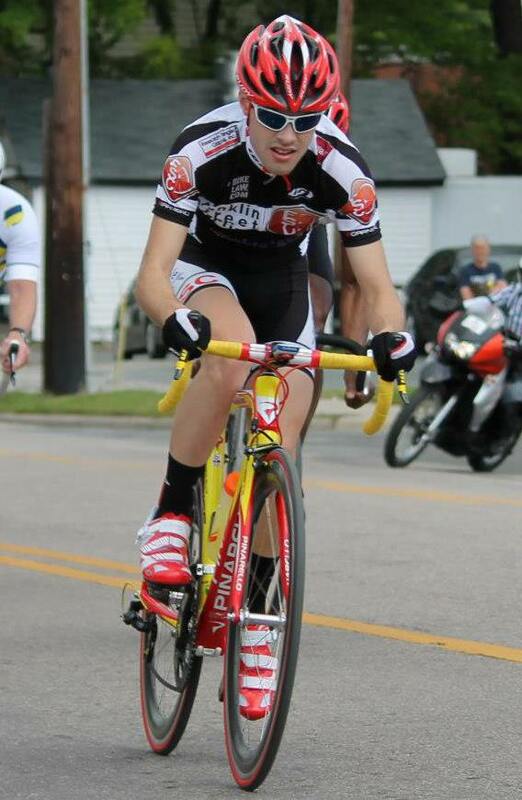 Nick says the height of his young racing career was participation in the USA Cycling Jr. Development program. 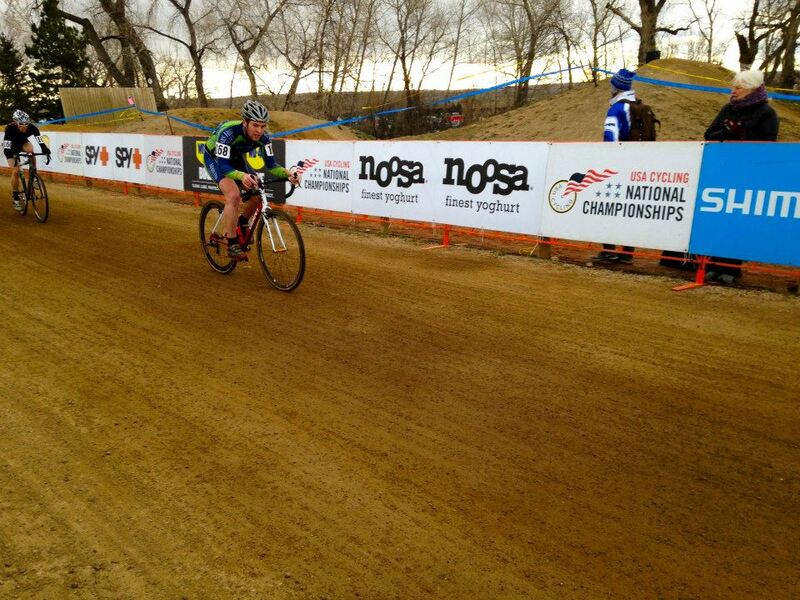 Many of his best races were in the Jr. Devo class at national events. He attended two Olympic training camps, one in November of 2010, and the other in April of 2011. Welcome to the team, Nick! Tyler Perkins got his start in the small rural city of Roxboro, North Carolina. When he was 11-years-old he got his first “real” mountain bike. About a year later he crashed and broke his wrist. Not being able to ride, he sat at home and watched TV. The Tour de France happened to be on. After about an hour of watching it he had caught the roadie bug and got a road bike for Christmas in 2005 and never looked back. He started racing in 2008 and found his strength in climbing, something he’ll have plenty of opportunity to practice at Mars Hill. Welcome to the team, Tyler! Needless to say, we’re all very excited for a strong BMX and road campaign this spring.